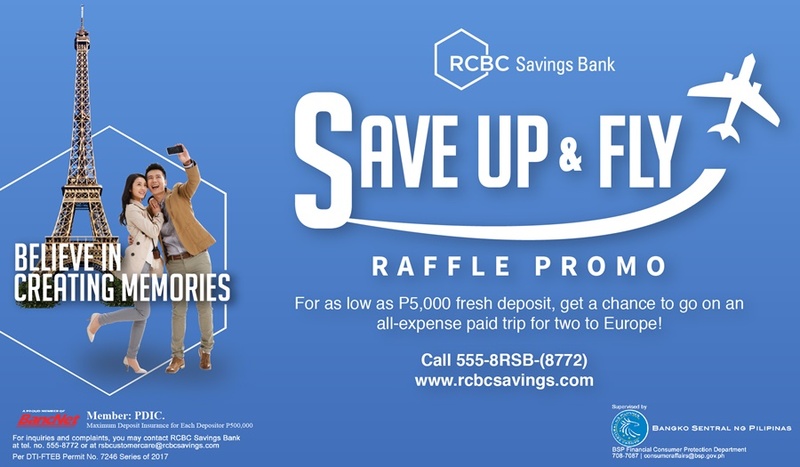 This promo is open to all new and existing personal and corporate account holders of RCBC Savings Bank covering Basic Savings and Checking, WISE Savings, Dragon Savings, Dragon All In One Checking and MyWallet Cash Card. Basic Savings and checking account holders including WISE Savings and MyWallet will earn one raffle entry for every P5,000 worth of deposit. 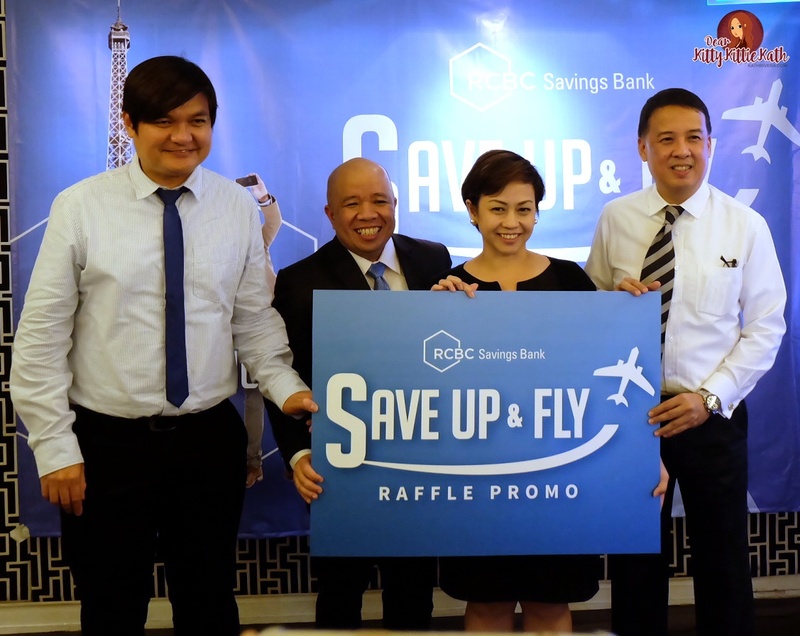 Corporate Basic Savings and Checking account holders will earn one raffle entry for every deposit worth P100,000. Personal Dragon Savings and Dragon All In One Checking account holders will earn one raffle entry for every deposit worth P25,000. Corporate Dragon Savings and Dragon All In One Checking account holders will earn one raffle entry for every deposit worth P200,000. Are you ready to Save Up & fly? All you have to do is open a bank account with an initial deposit of Php 5,000 will. That will earn 1 raffle ticket, the more you deposit and maintain your balance, the more chances of earning raffle tickets. 4D3N to Singapore, Malaysia or Hong Kong. Participants able to maintain P250, 000 to 500,000 can get a chance to win a Samsung CP GLX J2 Prime. Participants those that can maintain P500, 000 to 1,000,000 can win a Samsung J7 Prime. Participants who can maintain between P1, 000,000 and up can win a Samsung CP Galaxy A7 2017. 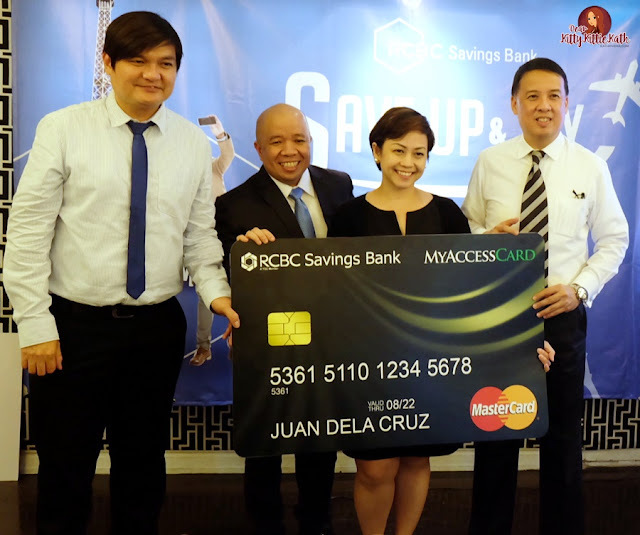 Aside from the launched of the promo, we also witnessed the launch of RCBC Savings Bank MasterCard Debit Card. Cardholders can now transact in more than 2.5 million ATMs and in over 40 million merchant locations worldwide. Promo period is from July 3, 2017 until April 6, 2018. With the Grand Draw will be scheduled at the RCBC Savings Bank Corporate Center in Bonifacio Global City on April 20, 2018. Time to save up and with the help of RCBC, let your dream travel destination come to life! 2. What are the available prizes? 3. What are the minimal requirements for joining? To qualify, the account holder should place at least the minimum required “fresh funds” (also referred as “Minimum Required Increase” in his account within the promo period on July 3, 2017 to April 6, 2018, and maintain the minimum required average daily balance (ADB) varies depending on the RSB product he has. For regular and Visa MyWallet, Basic Savings Account, Basic Checking Account and WISE Savings Account, they need to have an additional ADB of 5,000. While Basic Corporate Savings Account and Corporate Checking Account needs to have an additional ADB of P100,000. Those who have Dragon Savings Account and Dragon All in One Checking Account, they need to have P25,000 additional ADB. 5. Which places in Europe are part of the promo? The winners of the grand prize will have a 7D/6N tour of Spain, France, and Italy. The package includes roundtrip airfare, hotel, insurance coverage, city tour a pocket money of P50,000. 6. Which countries in Asia are part of the promo? Aside from the grand prize, we are also offering travel packages to select Asian destinations. We are raffling off separate 4D/3N tours for two to Singapore, Malaysia, and Hong Kong. Each of the Asian tours will include roundtrip airfare, hotel, and a half-day city tour. 7. Can new RSB clients join? Yes, they can join the promo, provided that they meet the required fresh funds and average daily balance. 8. What is the duration of the promo? The promo will run from July 3, 2017 to April 6, 2018. 10. When will the prizes be awarded? The prizes will be available right after the grand raffle draw on April 20, 2018. Upon redemption of prize, the winner will be given 6 months to issue, book and travel via RCBC Savings Bank’s accredited travel agency. No booking on peak seasons (March 15 to May 31, 2018) and holidays. 11. Can the winners opt to monetize the prize instead? Unfortunately, all prizes must be claimed as is, and they won’t be convertible to cash. 12. Will RSB handle visa processing? All incidental costs outside of the winning package will be shouldered by the winners. 13. What happens when the visa application is denied? Winner may opt to give the prize to others since it is transferable. 14. If the winners are from the provinces, can he/she nominate a representative to claim the prize? Yes, they can assign a representative, provided that they issue an authorization letter and they can present IDs. 15. How do you open an RSB bank account? Just present 2 government IDs and fill-up application forms in the nearest RCBC Savings Bank branch near you.